Voll geil ... Schöner munterer Hip-Pop. da gibs nichts zum aussetzen einfoch toll..
...wenn dieses idiotische Geschrei im Hintergrund nicht wäre und sie den Rapper zuhause gelassen hätten, wär's direkt ein guter Song...aber so? Average, too much repitition is Jay Sean's only problem. This has been a mental punchline for me for a while now. In one part as an example of a worthless top 10 hit, and another as a legitimate 'hit' that really convinces me that Jay Sean has been able to prove his worth beyond his one main hit. After all, the one-hit-wonder system doesn't really work when artists like Jay Sean are able to slide past the radar, while many artists of much more worth are relegated to being only looked upon for one contribution to society. Also this blocked Muse from getting a top 10 hit in early 2010 and I'm still a little pressed about that.<br><br>I mean, I guess the strings are nice, but then that's in "Down" too. The only thing that sets this apart from that is that Lil Wayne is subbed out for Sean Paul & Lil Jon, who to their credit, give the song a bit more character ("BRING IT BACK!" is the only thing I need to remember about this). But this is too flat to bother caring about. I wonder how many of the people who bought it back then still listen to it. versie zonder lil john is voor mij 5 sterren waard maar met hem erbij gaat er eentje af. voor de rest wel een zeer goed nummer. ♥ Zijn voorganger "Down" deed het bij ons niet zo goed. Deze opvolger "Do You Remember" vind ik opnieuw een lekker plaatje. Laten we hopen dat deze wel wat beter scoort?? ▒ Ik sluit me helemaal bij @Kim aan ☺!!! ▒ Ik sluit me helemaal bij @Snormobiel Beusichem aan ☺!!! Worse than Down, I have no idea how that's possible though. 2e extrait de l'album "All Or Nothing", j'aime bien. Great song, nearly a 6. Langweilt mich sehr, nichts Schönes daran aus meiner Sicht. Very run of the mill... Only just a 3. Hätte Schlimmeres erwartet.<br><br>Geht in Ordnung. Kijk nou, Sean Paul leeft ook nog. Hij maakt z'n opwachting op deze mierzoete R&B-track van Jay Sean en Lil Jon. Het glazuur springt spontaan van m'n tanden. A better and more enjoyable song than Down. This song is so good to dance to! Love the Sean Paul bit too. Average song not great. UK#13 and Ireland#23. US#10. Rather average, nothing compared to Down. Peaked at #17 on my personal.<br><br>Came in at #153 on my TOP 200 OF 2010. Great follow up to Down, but not as great. "Kim, hör mal, das ist ewig üüüüberraaagend! Gell? Was singt er da?"<br><br>"...ähhh..." Echt ein SUPER Song, gefällt nach mehrmaligem hören immer mehr. Awful, but Down is worse. Da erinnere ich mich weniger gern daran zurück. 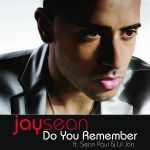 Do you remember when Jay Sean carbon copied his big hit "Down" and got another hit out of it? I can surprisingly remember this reasonably well but that said it already sounds dated and it's essentially a less catchy version of "Down" with Lil Wayne subbed out for Sean Paul and Lil [s]Sean[/s] Jon added in for some reason. I suppose it's alright but I have little desire to listen to this when the previous single exists. I actually really like this. Do You Remember? Not really to be honest. Was enjoyable at the time, but forgettable now. Great follow up single to 'Down'. All downhill from here onwards though. Jaja, tatsächlich "Down Part 2" mit Sean Paul & Lil Jon anstatt Lil Wayne. Immerhin hätte es auch schlimmer sein können (auch wenn ich nicht wüsste, wie das bei Jay Sean möglich wäre). Naja, lieber austauschbare Massenware, als irgendetwas Experimentelles! Ich meine, irgendwoher mussten die Radios ja Pop-Musik hernehmen! übler, belangloser und einfallsloser mainstream-kommerz-r'n'b von der stange. da nützen auch die prominenten gäste nix. schwache produktion, schwacher beat, schlechter gesamteindruck. allerdings etwas besser als der vorgänger down.